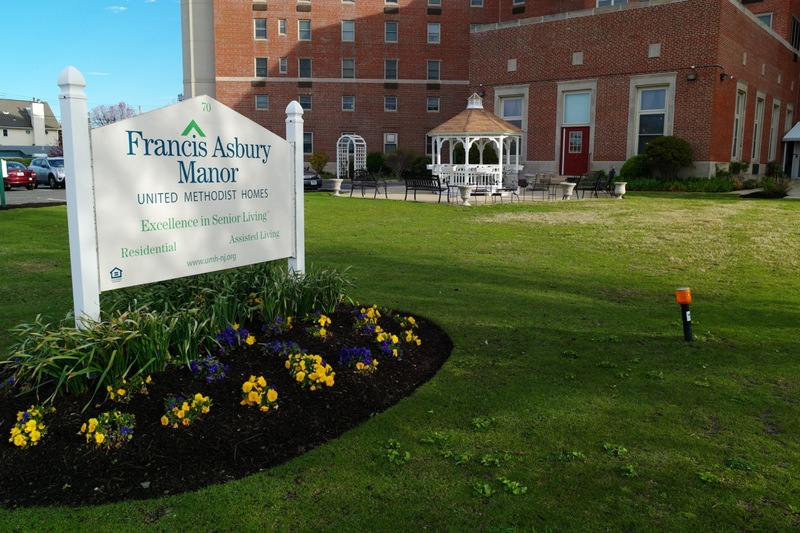 Ocean Grove’s Francis Asbury Manor has been sold. Residents fearful. 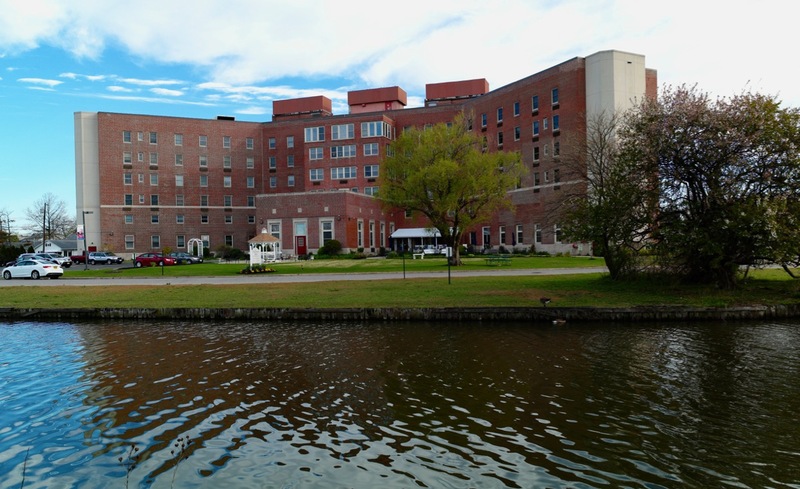 Francis Asbury Manor as seen from Bradley Beach, across Fletcher Lake. Blogfinger photo. 4/23/17. © Click to enlarge. By Paul Goldfinger, Editor@Blogfinger. Information provided by citizen reporters and resident interview. The senior citizen residence at 70 Stockton Avenue in Ocean Grove, NJ, near Fletcher Lake, has been sold by United Methodist Homes to a company called Sage Group that has other such assisted living operations in New Jersey. The closing will be on May 2, and the name will be changed to “Allegria.” In the past, there was talk of tearing the building down and rebuilding, but that never occurred. We have no information as to what the new owners plan to do with the facility. We spoke to a resident who said that most who live there “love it,” and most of them are “disappointed” that the sale has occurred. She says that promises had been made to residents that assured them that they could stay for the rest of their lives, even if their money ran out. She indicated that many residents now fear that such promises would not be kept. Management met with the residents a few days ago, but our source indicated that details are lacking and that there is “a black cloud” over the workers and residents at the facility. We have an unconfirmed report that the UMC will not allow the buyer to meet with the residents or even to come onto the property. Presumably the use will be the same, otherwise a variance may be needed. Blogfinger photo. 4/23/17 © Click to enlarge. FAM is a residence for elderly individuals. They offer one bedroom apartments and efficiencies . Minimum cost to live there is about $3,000 per month. The facility is operated by the United Methodist Homes. The facility has lovely views of the lake and the ocean. The grounds have been meticulously kept. The building appears to be in excellent condition from the outside. 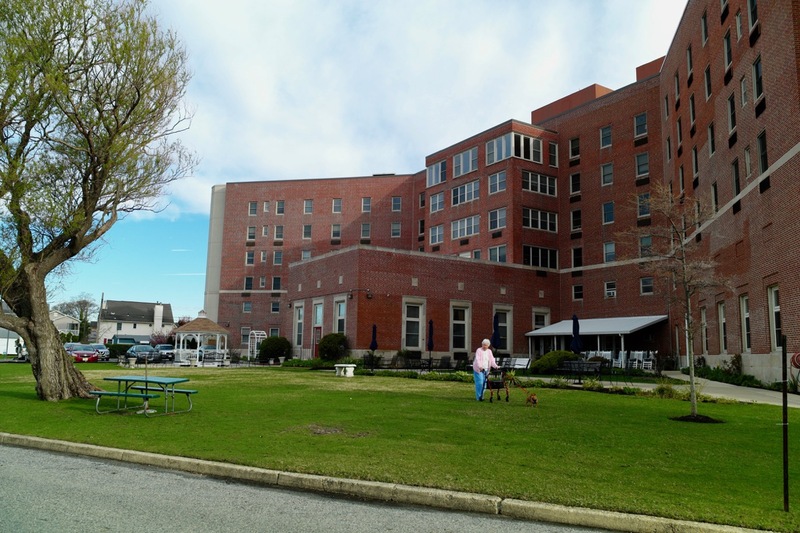 UMH used to also operate a 120 bed nursing home, Manor by the Sea in Ocean Grove on Main Street. Meridian took over several years ago. The FAM was built in 1947. Here is a link to a Blogfinger article about the Manor’s history. EDITOR’S NOTE: We received a comment today, 4/23/17, from Jan Carrato of the Methodist Homes organization. We thank her for helping us understand the FAM situation. You can find her comment by clicking on “comments” below right. Interesting & surprising news . Manor By the Sea on Rt.71/Main was sold by UMH years ago to Meridian. I do not believe UMH owns it any more. OG has had an interesting history with elderly housing : Francis Asbury Manor, Manor By The Sea, Epworth Manor, Clara Swain, etc. Wonder if UMH is having financial difficulties? Wonder if they are selling off any of the other facilities they own elsewhere in NJ. Last summer, I visited this facility and I asked an aid how many rooms they had. I do not remember what she said, but what I do remember is that she told me how many were occupied and it was a low percentage of available rooms (indicating losing money). After much discussion and careful due diligence, the United Methodist Communities Board of Directors made the difficult decision to sell its Ocean Grove, New Jersey campus, United Methodist Communities at Francis Asbury, to new owners who will continue to operate it as a senior living community, under the name of Allegria at Ocean Grove. The new owners will assume full leadership after the closing, scheduled for May 2. In contrast to our Strategic Plan and future direction for the ministry, Francis Asbury does not offer the comprehensive continuum of services under one roof, as do United Methodist Communities’ full-service campuses: Bristol Glen, Collingswood, Pitman and The Shores. 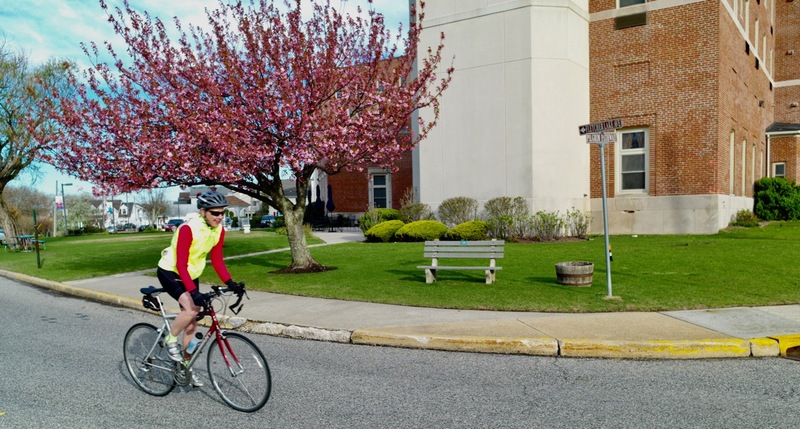 Historically, United Methodist Communities has built, acquired, replaced and sold multiple facilities over the years, most recently in 2006 when Meridian Health purchased Manor by the Sea in Ocean Grove, a stand-alone skilled nursing community. United Methodist Communities will continue the full operations of its nine retirement campuses and HomeWorks. What Happens to residents financially subsidized by the “Fellowship Fund”- or those for whom said fund was a most reassuring safety net?